When it is so cold outside, I really try to focus on building our flock’s immune system. Some cold mornings, I do the standard oatmeal and raisins, but lately, I have been doing something a bit different. Yes, I do cook for my chickens sometimes, so before you roll your eyes, let me explain. 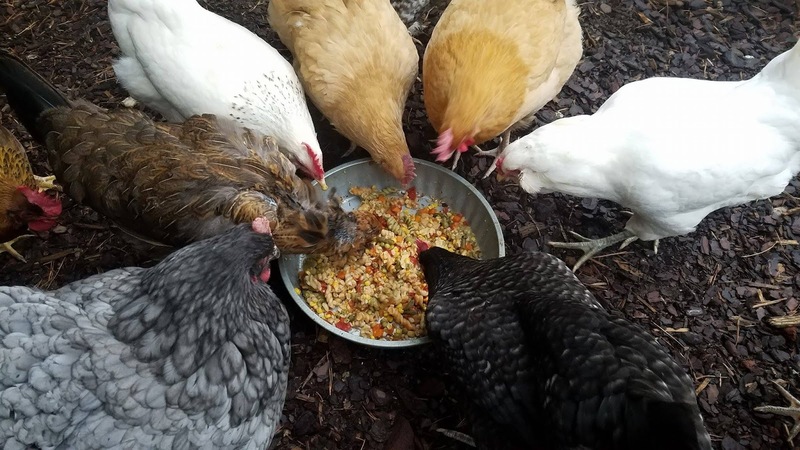 Have you ever heard the saying that “an ounce of prevention is worth a pound of cure?” If my flock gets sick, I am going to spend time, energy, and money attempting to help them get well. How much better is it to attempt to maintain their immune systems so that they don’t get sick? Also, I enjoy doing it, so it isn’t work. We all know that garlic is great for the immune system, and I do add garlic powder to their feed, but to add a boost I cooked them a huge pot of their very own noodle soup. I went to the grocery store on my way home and grabbed a few very simple ingredients. 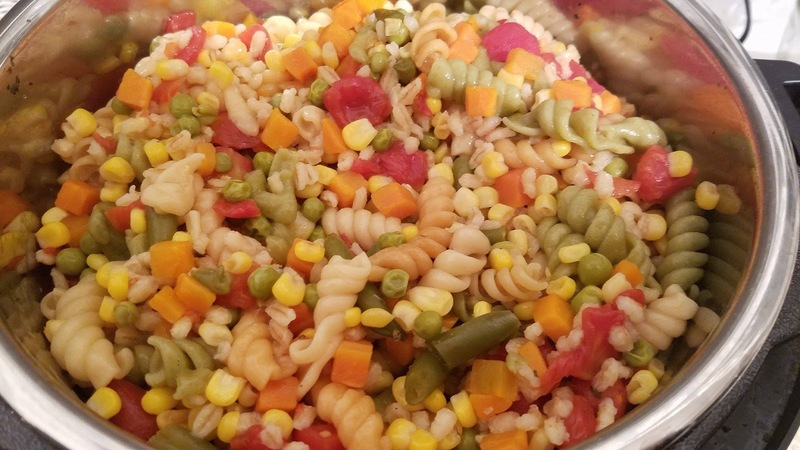 Chicken Broth, Garden Rotini Noodles, Barley, Frozen Mixed Vegetables (Corn, green peas, green beans, carrots), 1 large can of diced tomatoes, 1 head of garlic. Now, some people are going to gripe about me giving them noodles, but they love them, and these noodles are cooked in chicken broth and garlic, not water, so they do have some value. I literally dumped everything into my Instapot, turned it on, and thirty minutes later it was done. (I did dice the garlic, but that was it.) After it cooled, I bagged it into eight quart-size freezer bags. Now, every evening when it is going to be very cold, I pull one or two bags out, and leave them in the fridge.